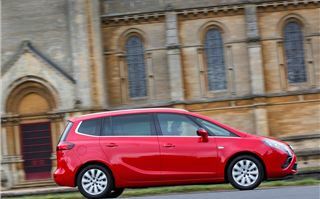 We first tested the Vauxhall Zafira Tourer back in 2011, but now the range has been improved with Vauxhall's latest 1.6 CDTi diesel engine. 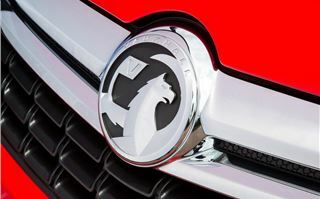 The four cylinder unit is part of a comprehensive powertrain development programme, which will result in 13 engines being launched over the next three years. The new 1.6 CDTi engine is the first all-aluminium diesel to be developed, which makes it lighter and stronger. It claims an average of 68.9mpg and emits just 109g/km CO2, which is impressive, especially when you consider that its main rival, the Ford S-Max 1.6 Duratorq TDCi, only manages 54mpg and 139g/km CO2 in comparison. 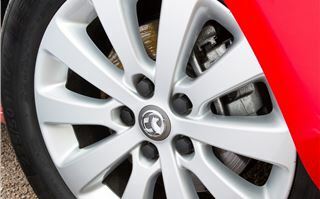 The engine also features Vauxhall’s BlueInjection selective catalytic reduction system, which means it is fully Euro 6 compliant and, according to Vauxhall, cleaner than a comparable petrol. Other improvements include a high pressure common-rail fuel system, with a single variable geometry turbocharger, to improve power and efficiency. 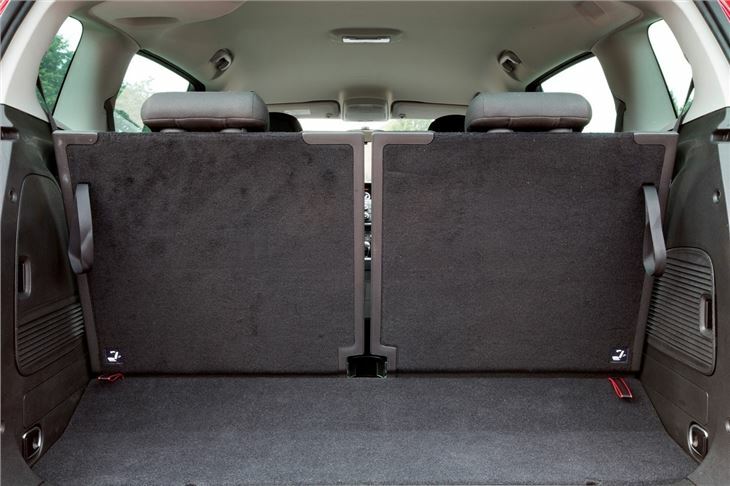 On paper the 1.6 CDTi is a versatile unit. 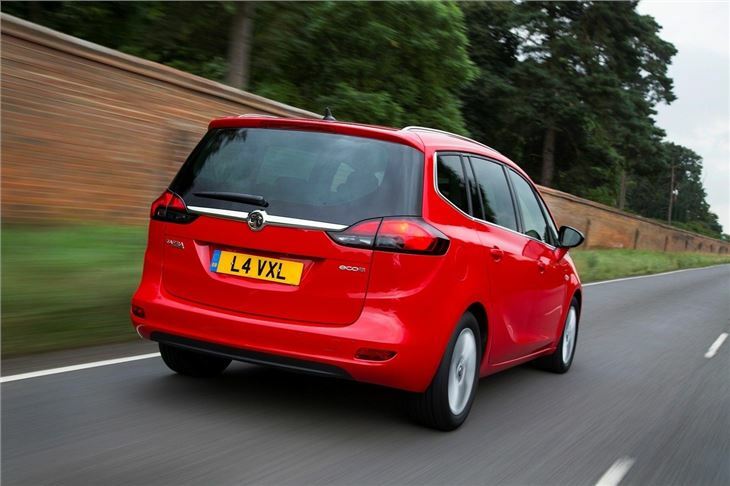 In its Zafira Tourer guise it’ll produce 136PS and 320Nm of torque. 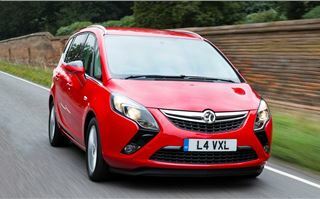 However, over the coming months, it’ll be tuned to various other outputs as Vauxhall roll it out across its car and commercial range. 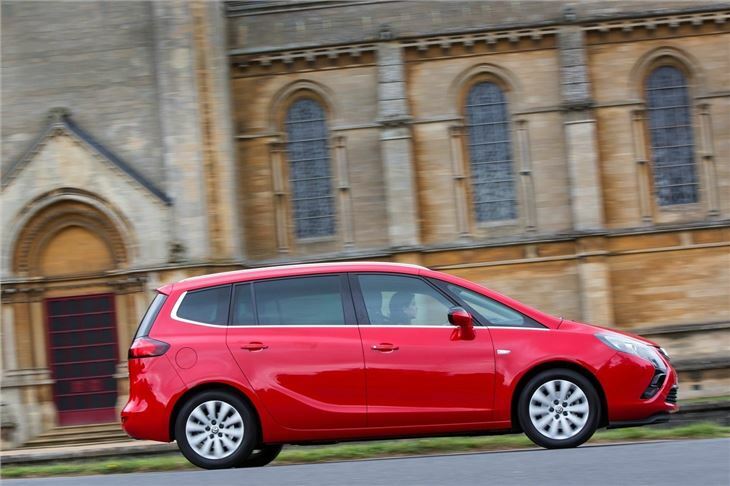 So, how does the 1.6 CDTi diesel improve the Zafira Tourer overall? Well, there’s no denying that the new engine is a vast upgrading over the old 2.0-litre diesel. For starters, the engine is significantly quieter, with less vibration and chatter - in fact, you’d be hard pressed to tell it’s a diesel at all, such is its refinement. 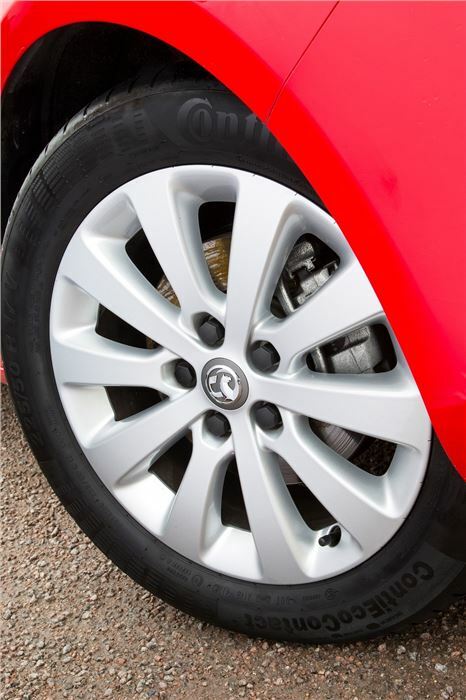 With the majority of the torque flowing between 2000-2250rpm, the Zafira Tourer moves along with purpose. Our test route featured a maze of twisty roads and the Zafira was never found wanting, regardless of how hard we pushed it. Vauxhall’s newly developed rack assist electric power steering is a big development too, providing a superb connection between the wheel and the road. The only fly in the proverbial ointment is the new six-speed manual gearbox which is poor. Unlike the powertrain it is coupled to, the gearbox is notchy and difficult. 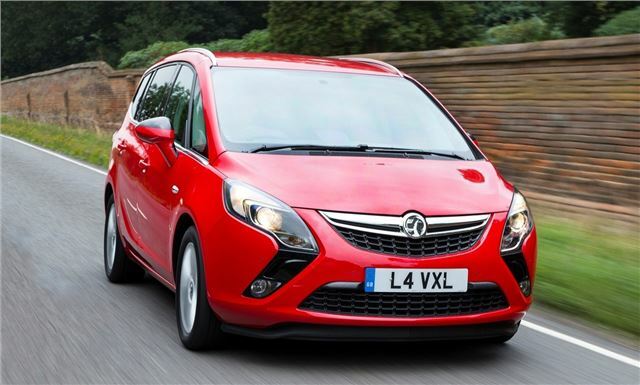 Vauxhall told us they have worked hard to reduced shift travel, with low gearchange forces, but in reality the six-speed ‘box struggles to cope, with the majority of the ratios being short and clunky. There are plans to launch a six-speed automatic later in the year, but this gearbox wasn’t available on our test run. 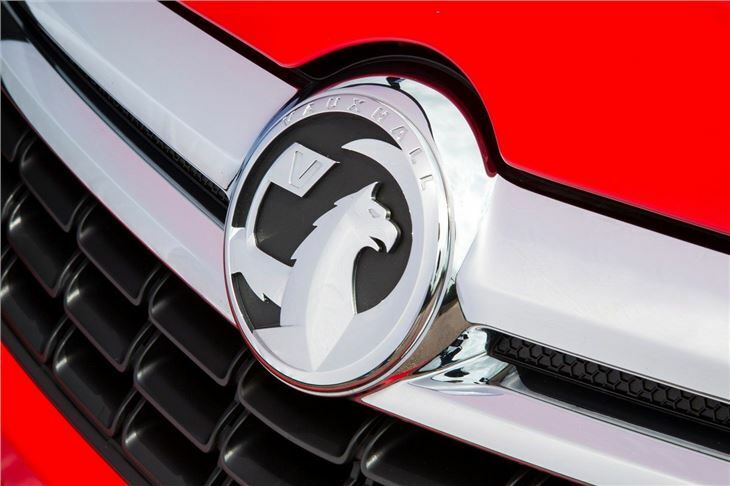 However, Vauxhall tell us this will be an all-new development, so hopefully it’ll live up to the hype and be as smooth as the new engine. 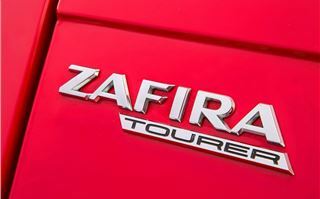 Away from the new engine, the Zafira Tourer is almost identical to the car that was launched in 2011. From the outside, it looks fresh and attractive, with its two year old design still appealing. However, as nice as the Zafira is to look at, it’s not the most attractive MPV on the market; we feel it lacks the panache of the Ford S-Max and the utilitarianism of the SEAT Alhambra. 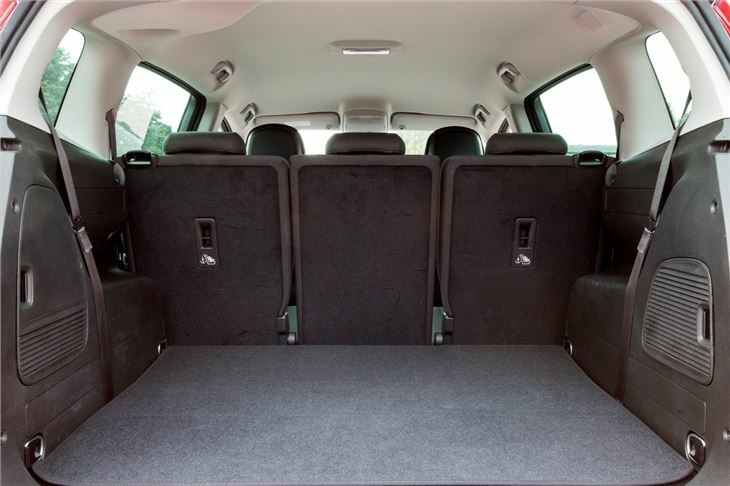 Climb inside and you’ll find the interior to be spacious and comfortable. 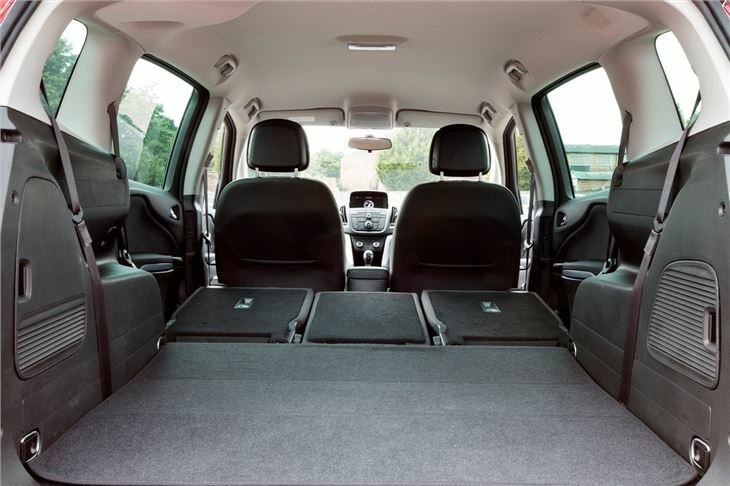 The seven seat Zafira is also extremely flexible, with its Flex7 system offering an impressive mix of seating configurations. The first two rows are the best seats in the house, with plenty of head and legroom; it’s only the third row that proves to be a squeeze. 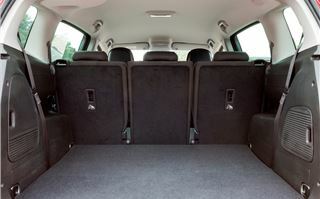 All of the rear seats fold flat to provide of 1860 litres of space and getting the seats down is simple enough, although we did find the second-row to be rather cumbersome, which two hands needed to force them flat. 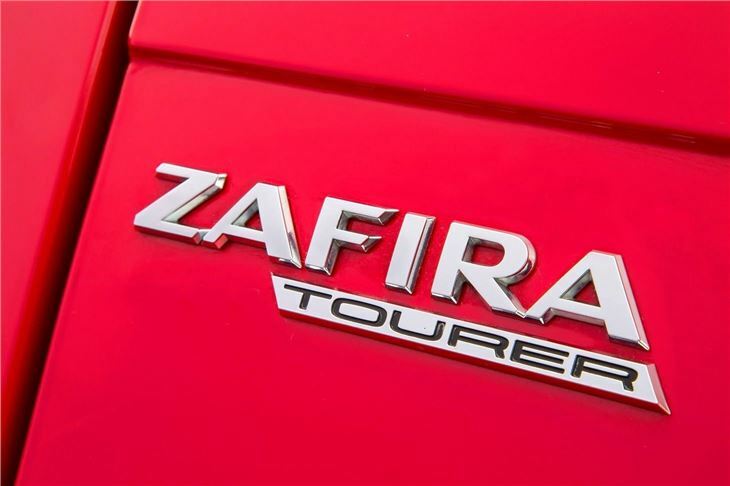 Behind the wheel, the Zafira Tourer is pleasant and serine. 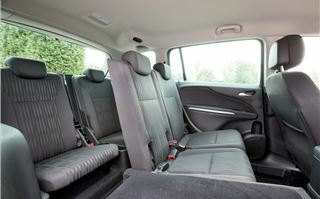 The cabin ergonomics are excellent, with a good view of the road and an intelligent dashboard layout. After just a few minutes, we could memorise the majority of the controls for the entertainment and heating systems, while the dials and readouts are clear and simple to understand. Our only bone of contention is the digital display in the centre of the console, it looks extremely dated and spoils the otherwise modern collective of the interior. 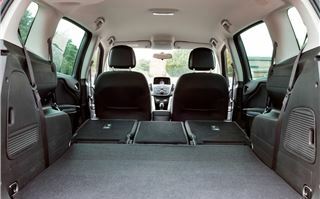 Overall the Zafira Tourer is a refined and enjoyable MPV. 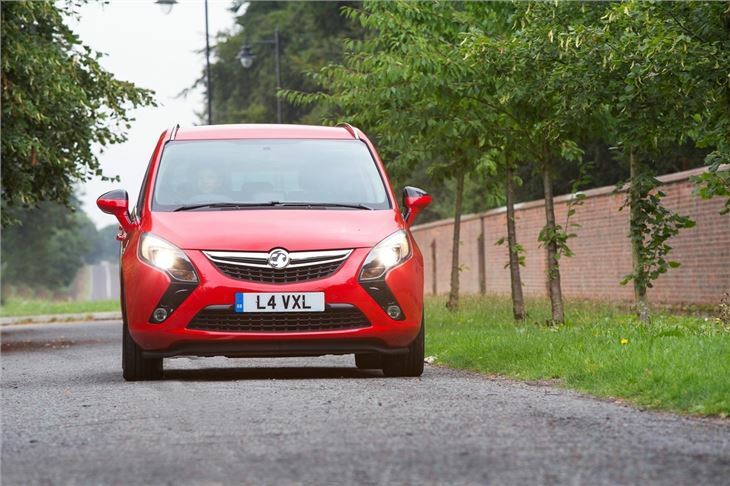 The chassis is well balanced and the new engine is a significant improvement over previous Vauxhall powertrains. 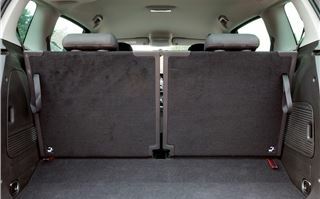 The car is surprisingly quiet too, with minimal road noise, which makes it a perfect candidate as a family run around. It’s just a shame that the manual gearbox isn’t up to task because, with prices starting at £23,175, the Zafira Tourer is £370 more than its main rival, the S-Max. However, there’s still plenty of appeal and if the upcoming automatic gearbox is as smooth as Vauxhall promises, then the Zafira might finally fulfil its potential.